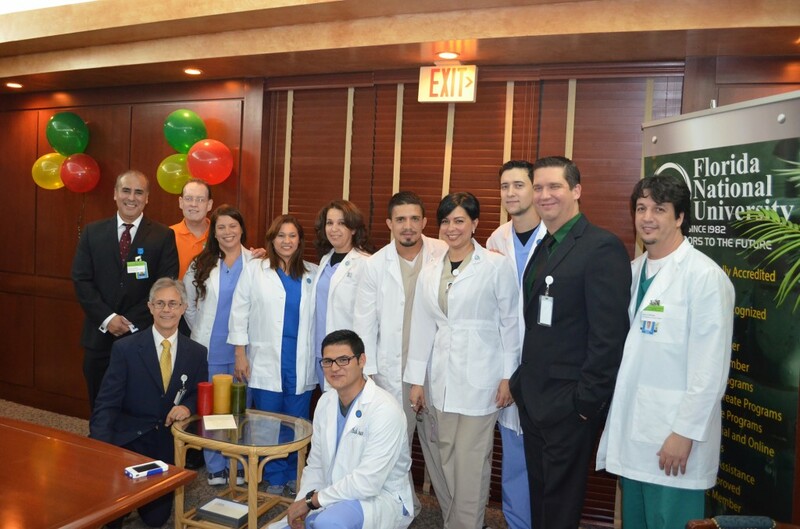 On April 24, 2014, the Respiratory Therapy Program at Florida National University (FNU) held its third Pinning Ceremony for graduates from the program. The occasion marked the first time the ceremony was held just for respiratory therapy graduates, in the likeness of most RT programs nationwide. The ceremony was conducted in the Golden Room of FNU’s Hialeah Campus. In attendance, were a significant representation of FNU’s administration and academia, family members of the graduates, Respiratory Therapy Department Directors who employ FNU RET graduates, illustrious guests like Pulmonary specialist Dr. Jacky Bruce Blank, Division of Pulmonary and Hyperbaric Medicine South Miami Hospital, and Euda Arrieta, RRT, Director External for CLCPTR, Sales Director for LATAM Nonim Medical, Board Member of SOLACUR and liaison between the National Board for Respiratory Care and Latin America, and illustrious members of the Respiratory Therapy Program’s Advisory Board including Medical engineer Mr. Rafael Suarez, and Mr. Alfredo Castillo, RRT, who worked under Dr. Shapiro in Chicago during the development of the RET profession. The Key Note Speaker was Mr. Jesus Rojas, RRT NPS, Director of the Respiratory Therapy Department at Hialeah Hospital, which serves as a major clinical facility for FNU’s RET students. Mr. Rojas’ speech was eloquent, concise, and to the point highlighting the call for sacrifice and service required of excellent respiratory therapists, and the subsequent rewards such sacrifices bring about. 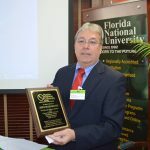 The organizer of the ceremony, Professor Jose A. Lammoglia, Director of FNU’s Respiratory Therapy Program would like to extend a special thanks to FNU’s Office of Student Services who worked diligently to ensure the ceremony’s success.